Recommended age 6 - 10 years. 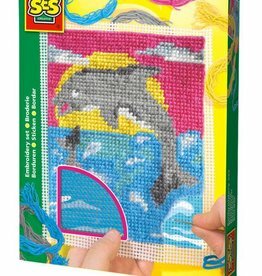 With this embroidery set you make a beautiful dolphin, for example. 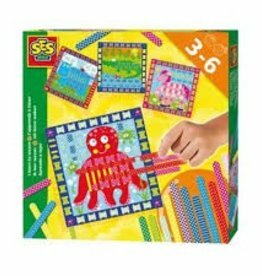 The package contains: a pre-printed embroidery gauze, a safe blunt needle and more than enough yarn in the required colors. Learn how to weave with this handy set of Ses. The cheerful weaving windows have funny images and nice colors. Suitable for children from 3 years.